A journey of travel and food. 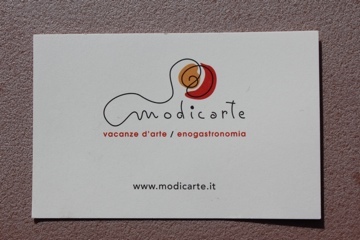 First is it’s close proximity to Agrigento’s Valley of the Temples and secondly, Sicily’s best restaurant, La Madia at Licata is close by. 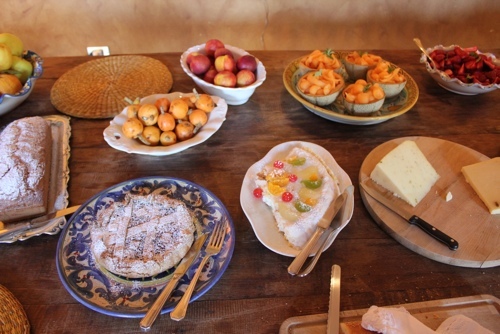 Now there is a third reason – to experience the hospitality of Silvia and Giuseppe. 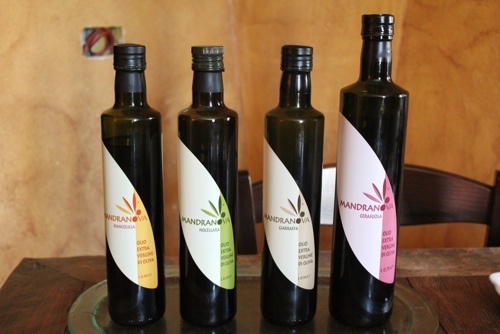 Mandranova is an award winning olive oil estate. It has been in Giuseppe’s family for six generations. Additions a few years ago mean they can have a maximum of forty people to stay in four different buildings but at this time of the year, there are only eight people. Perfect! 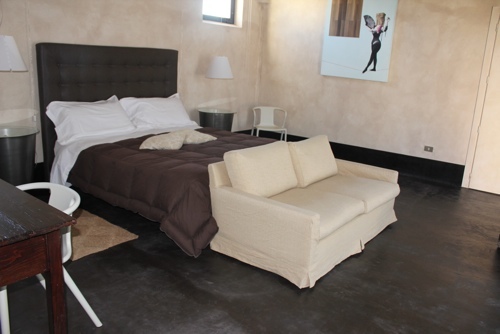 Our room over the Frantoio, is large and surprisingly modern with Culti products in the bathroom and a large terrace. 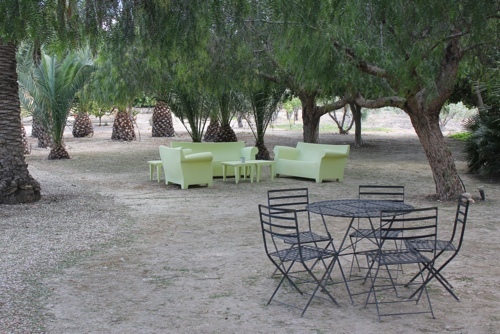 Lounges are dotted around under olive trees, in loggias or on verandahs. A short walk away, the pool tempts sun lovers. 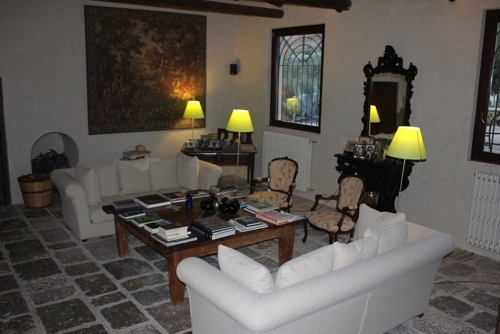 Inside the main building are two sitting rooms decorated with family treasures and the dining room. 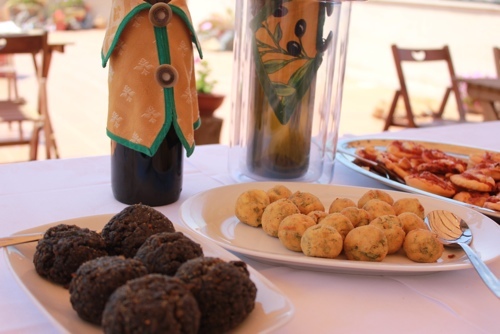 Silvia is a fabulous cook and Giuseppe’s advice on the local wines is expert. 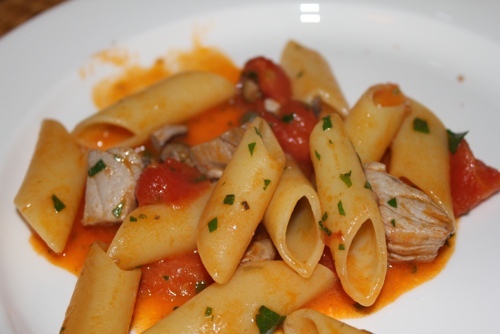 At dinner on the first night, we enjoy rigatoni with red tuna, tomatoes and peperoncino sauce, involtini and eggplant. 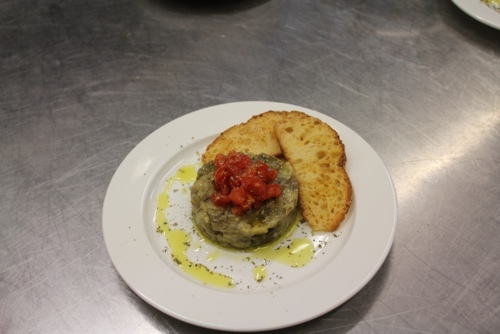 We drink a lovely Cottanera syrah, Sole di Sesta, from the Mt Etna region. The next day, Silvia is giving a cooking class and we cook our own lunch. 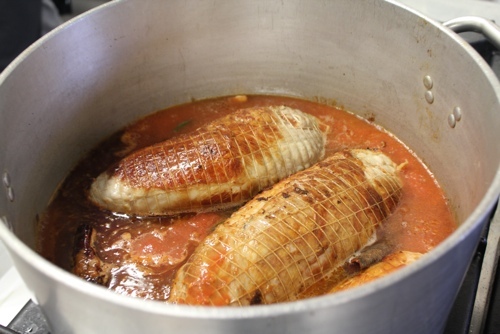 The pork is put on to simmer slowly whilst we chop the cooked eggplant for our capponata starter. 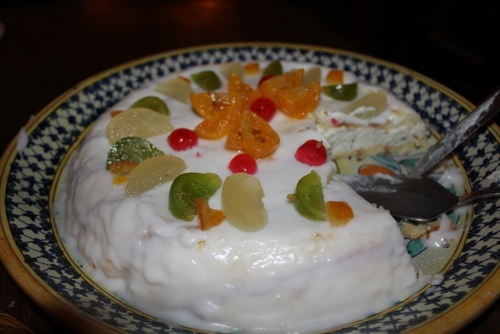 The cassata is then made. 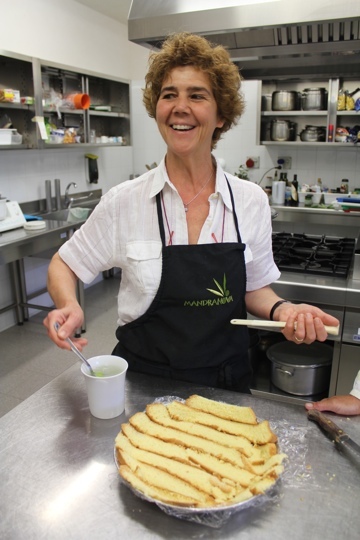 The day before, Silvia had made the lightest sponge for the base. 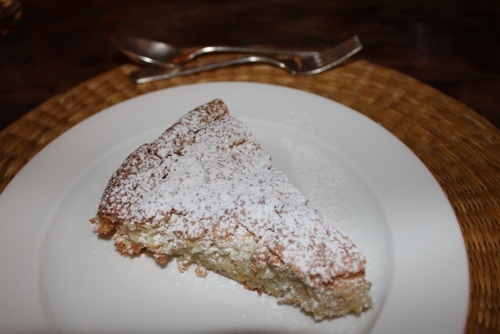 We combine ricotta and chocolate and spoon this over the sponge which has been sliced and laid on the base. After a while in the fridge, it is covered with icing and left to set. 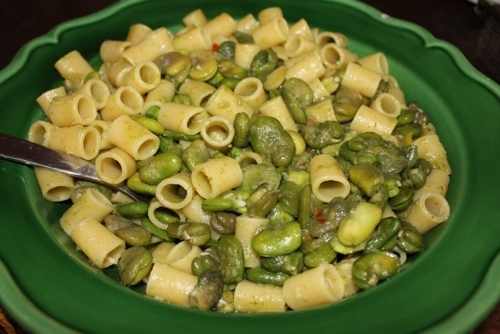 Finally we cook the broad beans for our pasta dish. 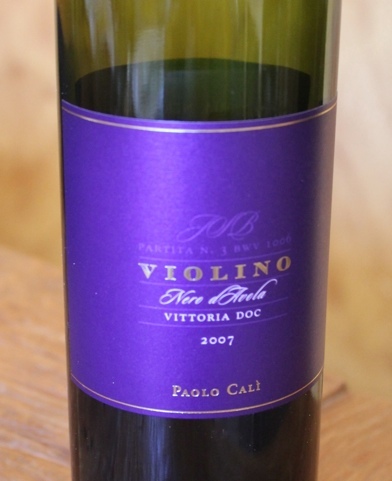 Accompanied by a light Nero’Avolo red from the Vittorio region, it is the perfect lunch. Let’s do a cooking class! 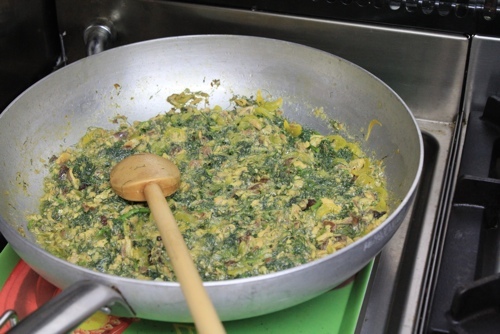 I had prevously organised a cooking class for a group in Assisi and it was a disaster, so I was a little worried this would be the same. 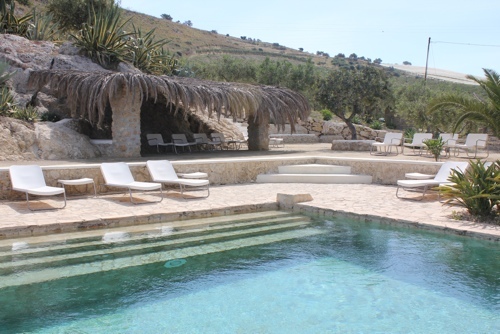 Maurizio picked us up and, as we drove to his family’s home and B&B just outside Modica, we learnt he had spent a year in London perfecting his English. His parents, Maria and Giovanni, greeted us. They did not speak English but with Maurizio’s help and our small amount of Italian, we all understood each other. 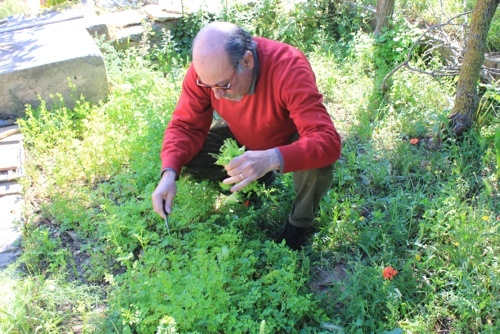 Giovanni took us down to the garden to pick the vegetables and herbs needed for lunch. 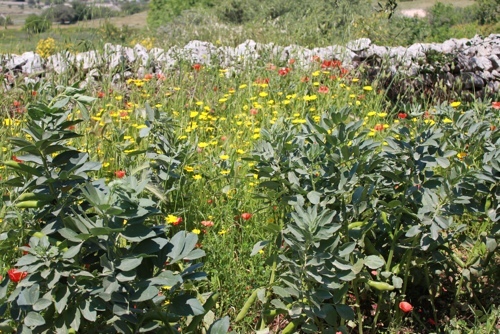 Peas, larger than we had ever seen, were mixed in with flowers amongst the olive and lemon trees. 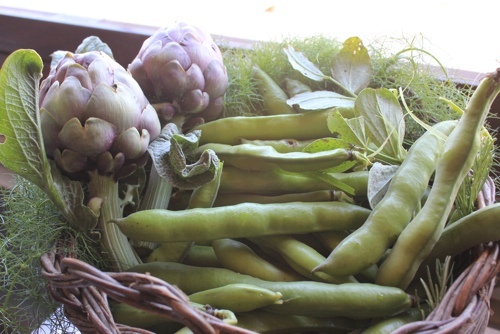 Broad beans and artichokes grew amongst the herbs and wild fennel. We ate as many as we picked! 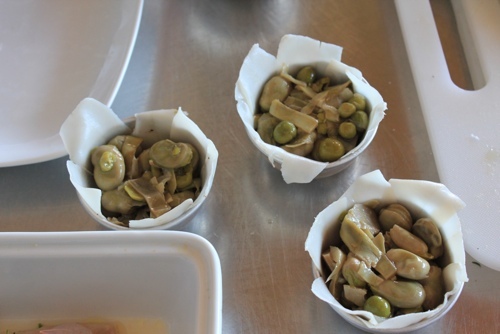 We started shelling the broad beans and peas which together with the artichokes, would be slowly cooked and then made into a timbale. 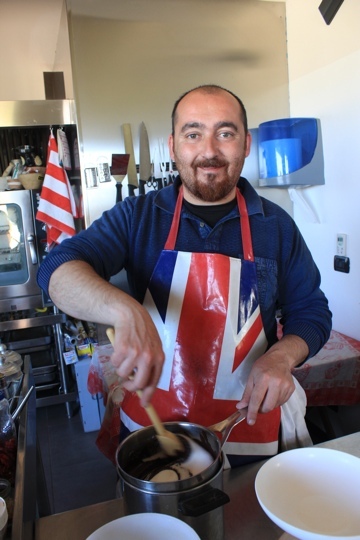 Maurizio was in charge of teaching us to make the bread rolls as well as starting on the Modica chocolates. He had also made the pizzetta base the night before to give it extra time to rise, making a softer base. 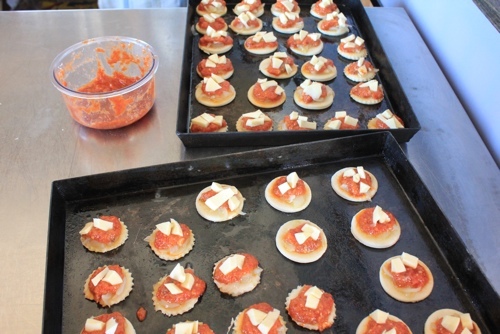 All we had to do was add the caramelized onion, homemade tomato sauce and anchovie and pecorino cheese. 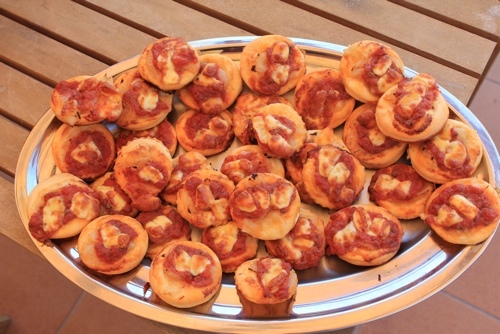 Pizzettas ready for the oven. 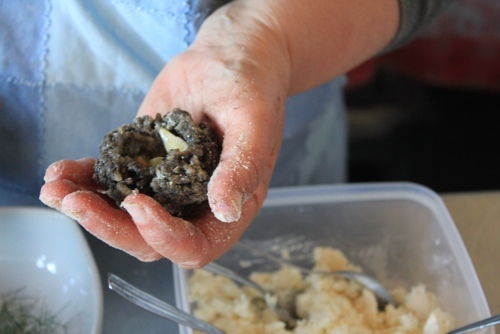 Maria then taught us how to make ricotta and wild fennel balls and black ink arancini with cuttlefish, peas and ricotta. Both were coated in very fine breadcrumbs before frying. 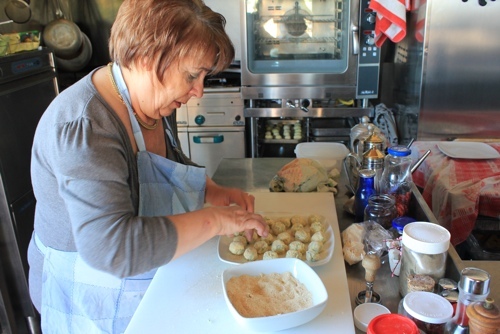 Maria checking our efforts with the ricotta balls. Showing us how to make the arancini. 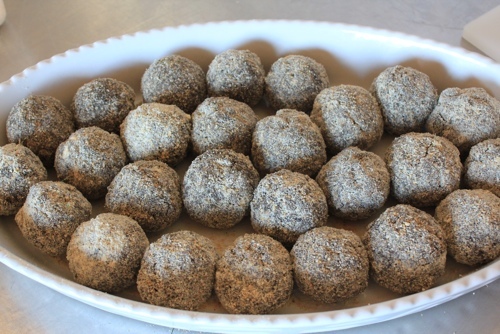 Arancini ready to be fried. Meanwhile, Giovanni was working on the pasta sauce. 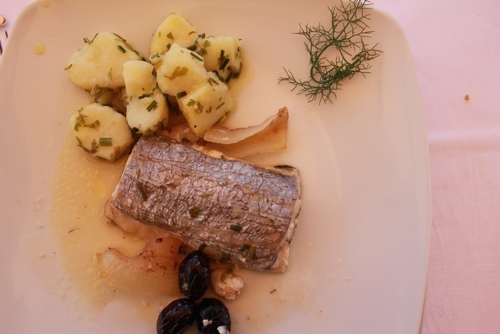 Onions were slowly cooked in oil before the saffron, sardines and cooked fennel fronds were added. This was left to simmer for about 20 minutes. The pasta would later be cooked in the same water as was the fennel. 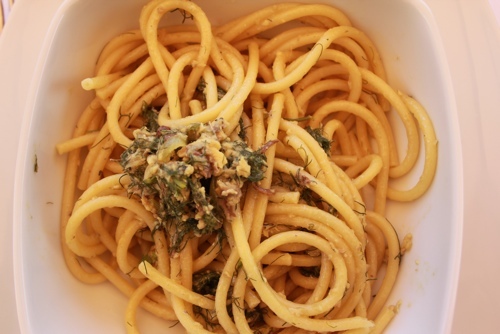 Breadcrumbs and garlic were fried to put on top of the pasta. Once this was completed, he started preparing the fish. 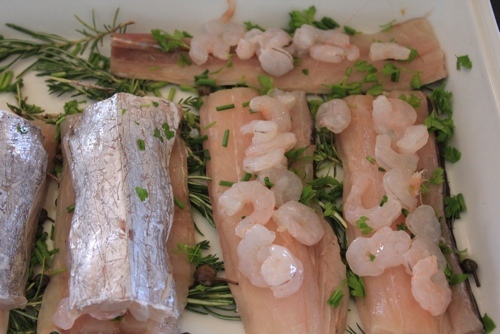 Herbs were placed in the bottom of a dish and spatola fish fillets laid on top. Very small gamberoni (shrimp) were placed on top of this before another layer of fish was placed over them. 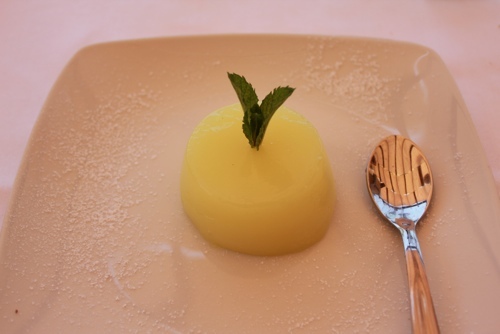 Lemon Jelly made by Maurizio. A very relaxed day in the countryside with a lovely Italian family. Cost of the cooking class is 60E per person. You can choose either a meat or fish based menu. 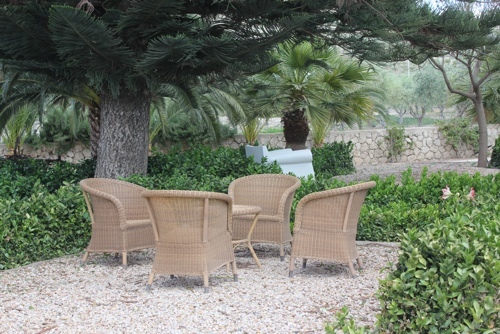 Luca has the most popular 2 bedroom apartment in Modica, so book early. 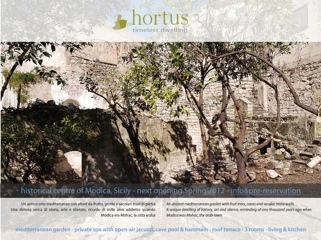 Please go to our new email address www.atasteoftravelblog.com to follow this blog and receive notifications of new posts by email. A Taste of Travel is moving! Eating in the 1er Arrondissement.